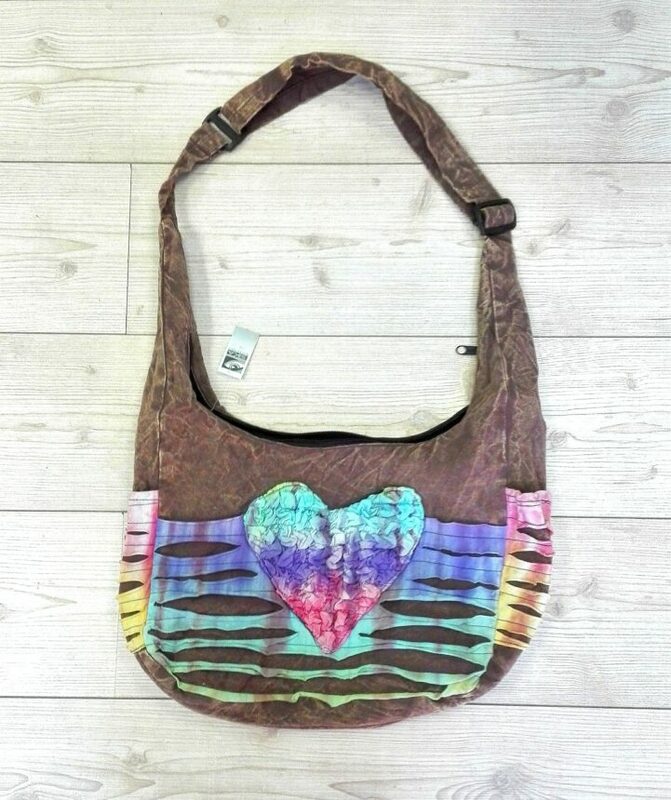 This Handbag is all you will ever need for day to day trips to anywhere you need to go! 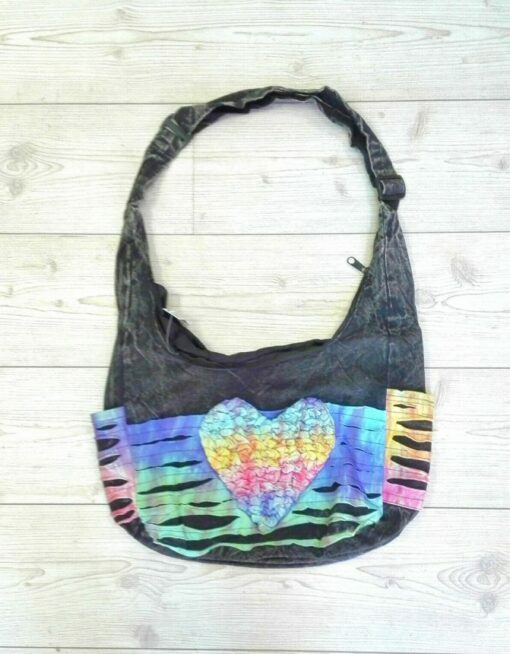 Its lightweight and has a really unique look with the Tie Dye ripping and frilled heart. 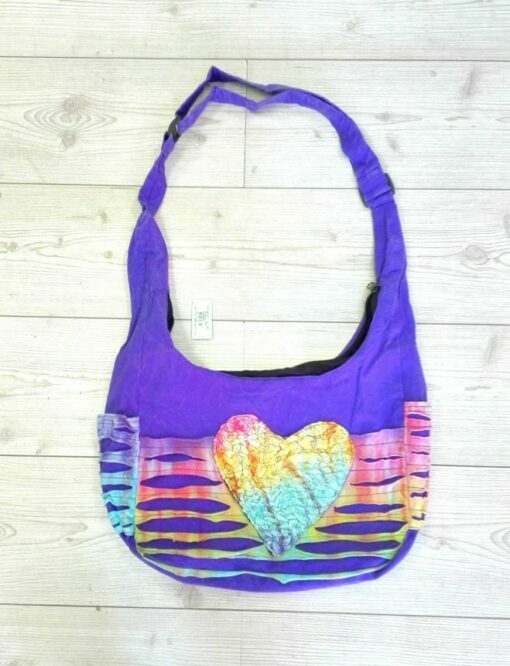 The bag is 100% cotton, stonewashed in Brown, Teal, Black and Purple! There are 2 pockets on the side for easy access to things like keys or your phone or even a water bottle! The inside is black cotton with an inside pocket and zip. 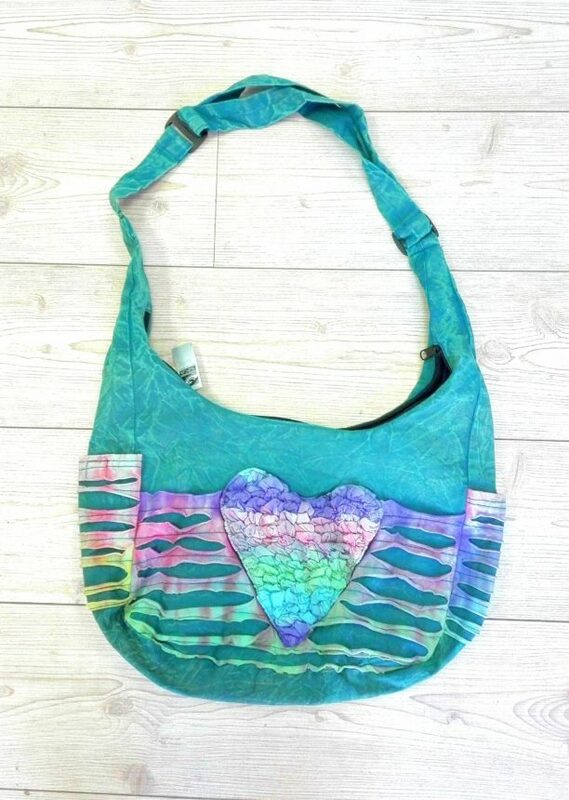 The bag itself also has a zip which keeps everything nice and safe! Adjustable strap up to 100cm!